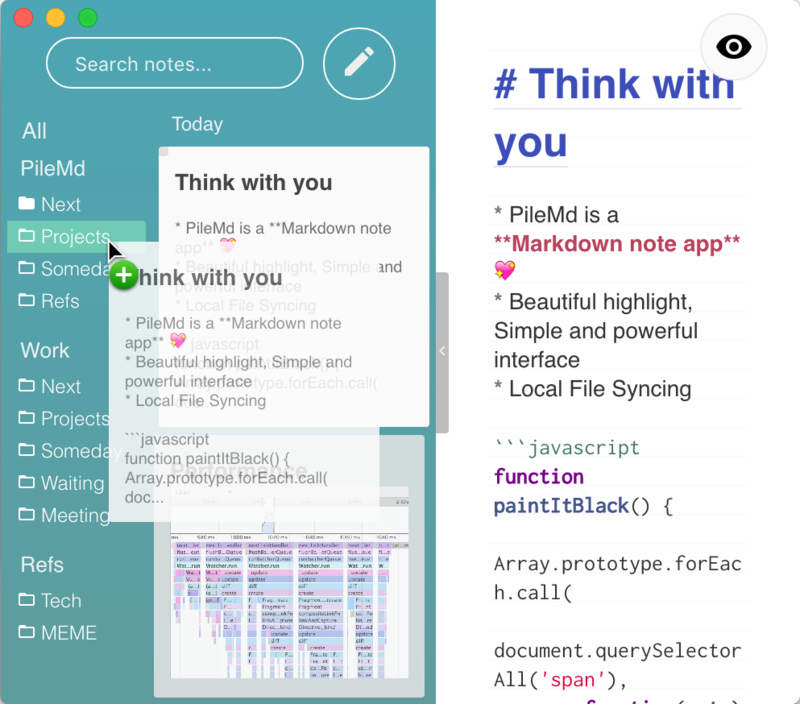 PileMd is a Markdown Note App. 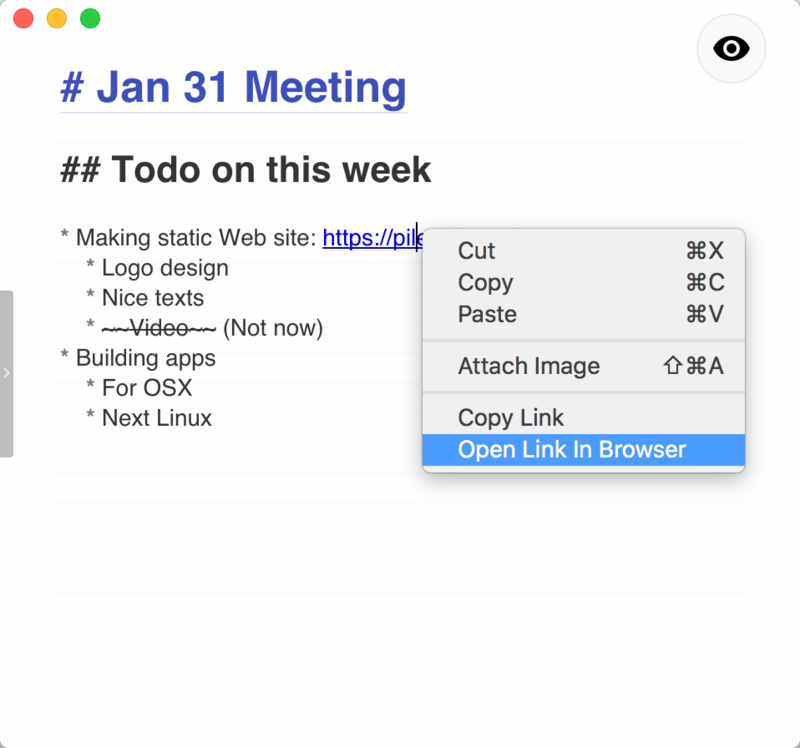 with Beautiful Markdown Editor, Comfortable Notes, and Local File Syncing. PileMd has really beautiful Markdown Editor, looks like Preview. It's like a RichText Editor but actually a Markdown Editor. We think a Markdown editor should not display both Editor and Preview. So, we pursue the beauty of a Editor. PileMd is really a rich editor like a word processor. It has Undo/Redo histories, Completion of lists and also Opening links in editors. Of course most features have keymaps, so you can focus on editing. PileMd will sync your data with local files. So if you put the folder to sync into a folder syncing with cloud services, you can back up and use same data on multi devices. You can move the folder to sync, and also open existing folders for PileMd. 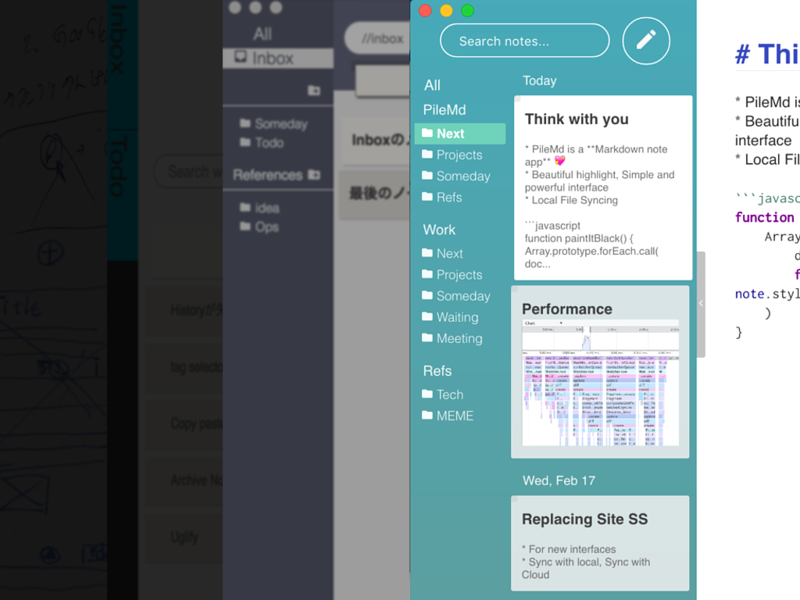 Piled Markdown notes are your history, your growth, and your own. The interface is created for you to focus on writing and thinking. All of data will be Sync with local files, so you can backup data to cloud services easily. It shows your Markdown notes as time-line basis. We think people can find Markdown notes easily if it's on the timeline, like note books in real life. If you don't want to lose your Markdown notes, just create Racks and/or Folders and drag and drop notes into it. PileMd is based on philosophy of task management tools. So you can manage your notes you want. We are obsessed to improve your life. Tons of concept notes, various of proto-types, two production-level apps. But we said "NO" to them, to create this Markdown note app. PileMd. Fund PileMd on Gratipay if you like.